Stride Into the GU Year is five weeks of unique, fun workouts that blend running and strength training. (Read: You rarely repeat a workout.) Stride Into the GU Year has you sweating five days a week, with an option for a sixth day of a yoga session if your schedule allows. Week One of Stride into the GU Year: Tasty, right? thanks to our excellent friends GU Energy. *First 200 registrants receive a box of Stroopwafels; flavors will vary. There are no waves for Stride Into the GU Year: Everybody starts on January 8, and the program ends on February 11th. A mother-runner-friendly training plan. Stride Into the GU Year, a five-week plan, is designed for any mother who needs forward motion in her life. (Read: all of us!) 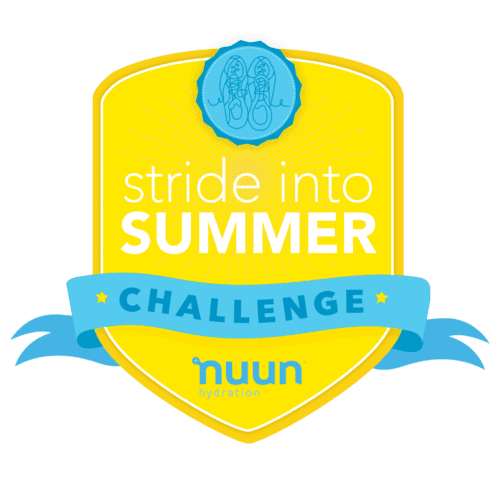 With a variety of workouts that can be done by runners, walkers, or run/walkers, the Stride plans are all about making exercise a habit—or simply taking a break from more regimented training. The workouts, which incorporate strength training regularly, range in time from 20-45 minutes on weekdays to 45-90 minutes for a longer session on the weekend. With simple runs to stair circuits to running-specific skills like hill repeats, both your body and mind will be engaged throughout the plan. Accountability—and camaraderie—galore. In addition to Train Like a Mother Club, you’ll also be invited to join a private Stride Into the GU Year Club on Strava, where you can track your miles, and a private Stride Into the GU Year Facebook page, where you’ll quickly find an army of (funny, empathetic, inspiring) #motherruner teammates. You’ll share training tips, stories of good runs and bad, cheer each other on, and push each other out the door. Momentum comes from teamwork, and these Challenges roll on some serious #motherrunner momentum. We’re aiming for five to six workouts a week for five weeks–or somewhere close to that. On days when, despite your best intentions, you simply cannot slide in a workout, don’t beat yourself up. You will live to sweat another day. That said, sometimes you just can’t swing the workout as written. In that case, a 20-minute walk or run is a beautiful thing. Seriously. No, and here’s why: Stride Into the GU Year is all about getting it done—and minimizing pressure. No final race; just forward movement. Within a few weeks of registration, every participant in a Train Like a Mother program receives a stocked swag package with some of our favorite training essentials, including a tube of Nuun, packets of GU, a pair of Balega socks, and samples of SweatX sports detergent, and – wait for it – a BOX of 16 delicious GU Stroopwafels* (a $22.50 value!) that you may want to hide from your kids. . Domestic #motherrunners are charged $7 for shipping; international #motherrunners are charged $20 for shipping. We definitely want this to work into your life and your running lifestyle. You can email us within 1 week of starting the program and we will set you up with another plan or a credit for an upcoming challenge. We will not be able to issue a straight-up refund.